An incredible easy-to-use FTP program! Faster than ever! AtomicRobot FTP Professional Edition new version is now even easier to use than ever before! New error handling has been added and it is now able to copy more files at once into a single folder than ever before. The only FTP program you will ever need! You've made a great choice! 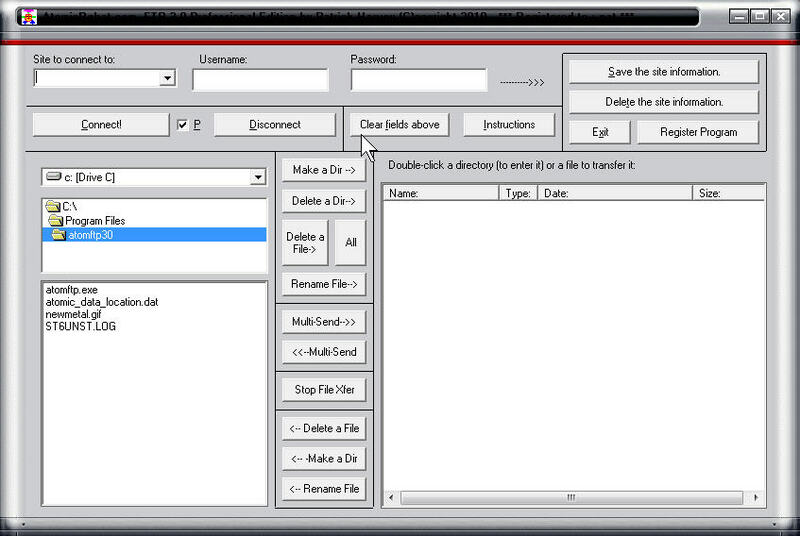 AtomicRobot FTP Professional 3.0 is one of the easiest to use FTP programs in the world! Transfer files over FTP, SSL, SSH, and HTTP/S transfer protocols. Qweas is providing links to AtomicRobot FTP Professional Edition 3.0 as a courtesy, and makes no representations regarding AtomicRobot FTP Professional Edition or any other applications or any information related thereto. Any questions, complaints or claims regarding this application AtomicRobot FTP Professional Edition 3.0 must be directed to the appropriate software vendor. You may click the publisher link of AtomicRobot FTP Professional Edition on the top of this page to get more details about the vendor.